Recently, images and details of a 2013 Mahindra XUV500 W8 that met with an accident were published on a Team-BHP thread. These images showed a completely mangled XUV500 that had met with an accident in NCR. What’s startling is that in spite of the huge damage that the car has suffered, none of the six airbags present in the car did deploy. The distraught owner, Arvind, even clarified that no seat covers or bumper guards or accessories were installed on his car. Moreover, all the passengers were wearing a seat belt. He also added that his son, who was driving the car, had suffered severe brain injuries in the accident. Like we said, these images of the totalled XUV500 have been doing the rounds online. Most were surprised that the airbags did not deploy, despite none of the usual factors that prevent the deployment of airbags were present in this case. 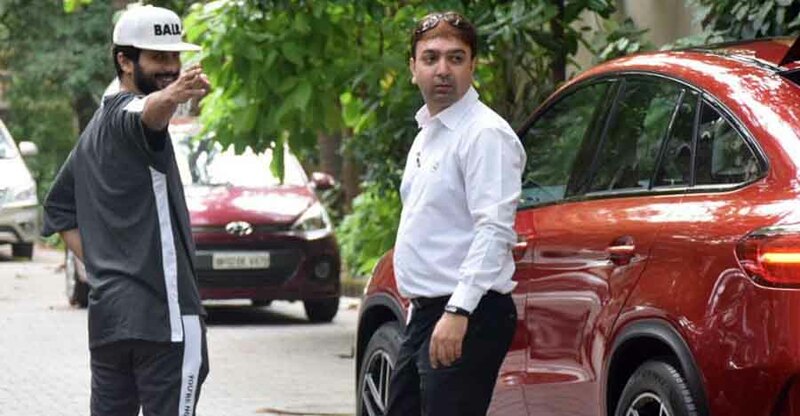 The owner of the Mahindra XUV500, and most commenters on the forum, have been demanding a third-party investigation of the accident, to discover what led to the non-deployment of airbags. We are aware of the accident involving an XUV 500 that occurred in May 2018 in Gurgaon. We are pained to hear that a young man who was driving the vehicle was seriously injured. We pray that he recovers quickly and is back in good health. We empathize with the situation and can imagine the agony that his family is going through. We are in constant touch with the customer. There are questions raised by concerned people and our customers to understand the reasons for the non­-deployment of airbags in this incident. Some of the social media posts seem to conclude that because the airbag did not deploy in this particular incidence, the XUV500 is an unsafe vehicle. Let me assure all that we take such incidents seriously and will conduct a thorough investigation once the vehicle is made available to us. Wadhera then wrote about some safety features of the XUV500. He said that the XUV500, which was launched in 2011, was one of the first Indian designed vehicles to offer ABS and airbags on all variants. He further insisted that Mahindra has been thinking ahead of the time in terms of safety features for the XUV500. He even said that his company has many testimonials from its customers that indicate how the airbags and the structural integrity of the vehicle saved lives and reduced the severity of injuries. He then says that the airbag deployment happens when the sensors detect a signal upon sufficient impact. The calibration of sensors is meticulously carried out to ensure there’s no unnecessary deployment of airbags. He even said that ‘sometimes what appears to be a severe enough accident may not have enough impact intensity for the airbags to deploy.’ The letter from the high-ranking officer at Mahindra goes on to state that the company plans to soon obtain access to the vehicle and conduct a detailed investigation. Arvind, the owner of the crashed 2013 Mahindra XUV500 W8, has responded to this letter and he was not satisfied. He reasserted that this incident calls for a third party investigation and has promised to continue fighting for the same. 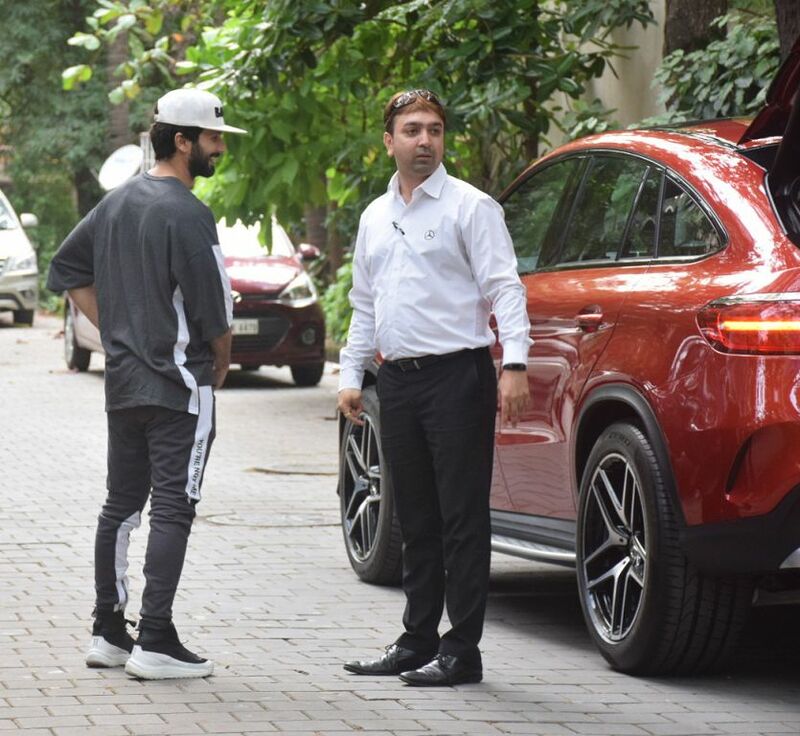 Famous Bollywood actor Shahid Kapoor seems to have a thing for powerful cars. He has some really interesting models, including a Porsche Cayenne GTS, Jaguar XKR-S, Range Rover Vogue, and a Mercedes S-Class with an AMG body kit. Recently, the actor has added another powerful car to his garage in the form of the Mercedes GLE 43 AMG Coupe. It has an ex-showroom price of Rs 86.4 lakh. The Mercedes GLE 43 AMG Coupe is powered by a 3.0-litre, bi-turbo petrol motor that outputs a maximum power of 367 bhp along with a peak torque of 520 Nm. The motor comes mated to a 9-speed automatic gearbox. This makes the GLE Coupe go from 0-100 in 5.7 seconds. The car has an electronically limited top speed of 250 kmph. The SUV gets a four-wheel drive system. The GLE 43 AMG Coupe is the fourth car in Shahid’s garage to come from the renowned Stuttgart-based German car marque. Other Mercedes Benz models in his garage include the latest-gen S-Class, the GL-Class, and the ML-Class. While the S-Class in Shahid’s garage is the S400 petrol variant, the GL-Class and the ML-Class SUVs are GL350 CDI and the ML250 CDI variants, respectively. The S400 is powered by a 3.0-litre V6 engine that produces a maximum power of 329 Bhp and 480 Nm of maximum torque. The GL350 CDI comes with a 3.0-litre V6 turbo diesel engine that outputs a maximum power of 258 Bhp along with a peak torque of 620 Nm. The ML250 CDI, on the other hand, comes with a 2.2-litre turbo diesel engine that outputs a maximum power of 203 bhp along with a peak torque of 500 Nm. As you can figure out, the GLE 43 AMG Coupe is a lot more powerful than all other Mercedes cars in the actor’s garage. The only SUV in the actor’s garage that is more powerful than the GLE 43 AMG Coupe is the Porsche Cayenne GTS, which comes with a 3.6-litre V6 twin turbo petrol engine that puts out 434 Bhp and 600 Nm. However, what really sets the GLE 43 AMG Coupe apart is its very attractive coupe-crossover design. The design of this Mercedes crossover combines the athleticism of a coupe with the brawniness of an SUV. Furthermore, the AMG variant looks even more aggressive due to the various sporty details it carries. At the Auto Expo 2018, Tata Motors unveiled the Tiago JTP hot hatchback developed with the help of Coimbatore-based Jayem Automotives. Tata Motors is also developing the Tigor JTP with the help of Jayem Automotives as part of the JT Special Vehicles joint venture between the two companies, which will bring performance versions of the two Tata cars at an affordable price for the petrolheads in India. The Tiago JTP hot hatch has been spotted testing by Indian Autos Blog on the Coonoor-Kotagiri road near the city of Coimbatore as it is put through its paces and tested to the limit before it arrives on Indian roads. The Tiago JTP spotted on the mountain road in Tamil Nadu is partially camouflaged, with the front bumper along with sections of the bonnet and rear-end masked from photographers. The camouflaged bonnet does reveal what appears to be a vent, which should improve the breathing capabilities of the engine sitting underneath. The front bumper of the JTP will be more aggressive compared to regular Tiago and the rear-end of the test mule does show twin exhaust tips sticking out from under the bumper, as seen on the car showcased at the Auto Expo. The Tata Tiago JTP will be powered by a more powerful version of Tata’s 1.2-litre petrol Revotron engine found on the regular Tigor. Under the hood of the Tiago JTP, the 3-cylinder turbo-petrol engine cranks out 108.5bhp at 5,000rpm and 150Nm of peak torque between 2,000-4,000 rpm. The engine is mated to a 5-speed manual transmission which sends power to the front wheels. To help enhance the driving experience thanks to the increased power, the Tiago JTP features a stiffer suspension setup and a lowered ride height and sits on larger 15-inch wheels as well. The Indian Government’s Ministry of Road Transport and Highways latest directive regarding the safety of riders will send manufacturers and sellers of non-ISI branded helmets into a clearance frenzy over the next two months. As per the new directive, anyone found selling or manufacturing non-ISI branded helmets will be arrested without the need of a warrant. First-time offenders breaking this new rule will face jail time of up to 2 years and/or a fine of Rs. 2 lakh. Subsequent offences will attract higher fines. While this isn’t the first time that the law has come down hard on non-ISI mark helmets worn by riders, with Bangalore’s police force trying to force riders to wear ISI-branded helmets last year. However, the new directive sees the Ministry of Road Transport and Highways actually laying down the law with regard to helmets, on sale to the nation’s riders, after the recent updates to the ISI standards regarding helmet safety. Any new helmet being manufactured to be sold in India will be obliged by law to comply with IS 4151: 2015 standards for Protective Helmets for Two-Wheeler Riders and must bear the ISI mark. Any helmet manufactured or sold without the ISI mark for use by Indian riders will see the manufacturer/seller being hauled to the courts. The new changes to laws regarding helmets have been made to ensure that riders use helmets that will assure their safety in the unfortunate event of a crash. The government’s directive has been welcomed by the Two-Wheeler Helmet Manufacturers Association, whose President Rajeev Kapur (who is also the MD of Steelbird) welcomed the move by the government stating that the decision would help in doing away with the sale, manufacture, storage and use of non-ISI-marked helmets. The latest changes to the ISI standards for the safety of helmets, which will come into effect on 15 January 2019 state that the maximum permissible weight for helmets will be reduced by 300 grams, from 1.5 kg to 1.2 kilos. To deal with the loss of weight, the Bureau of Indian Standards has also introduced more tests to ensure that the safety of helmets isn’t compromised by the size reduction.